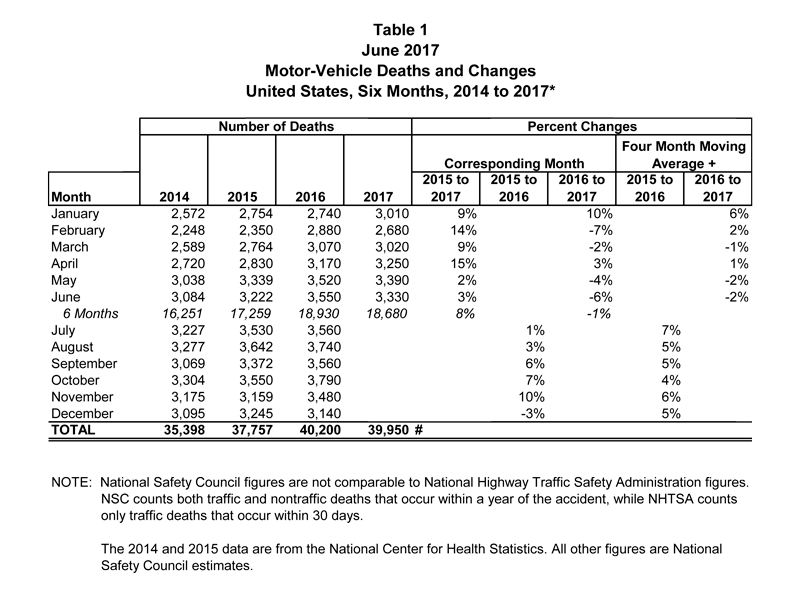 Motor vehicle deaths projected to drop slightly in first half of 2017 but remain 8 Percent higher than at the two years ago. Preliminary estimates from the National Safety Council indicate motor vehicle deaths in the first six months of 2017 are 1 percent lower than they were during the same six-month period in 2016. However, the country is fresh off the steepest estimated two-year increase in motor vehicle deaths since 1964, and it is too early to conclude whether the upward trend is over.